State Route 14 was closed on Sunday after a truck carrying gasoline ran off the road and tipped over. The Washington State Patrol told reporters that the truck driver, who sustained minor injuries in the trucking accident, had fallen asleep before he veered out of his lane. No one else was injured in the crash, but the road was closed for hours due to the danger of explosive fumes igniting in the wrecked truck. A driver was struck and killed on Monday morning near Auburn when he pulled off Highway 18 onto the shoulder to make repairs on his pickup truck. Another pickup crashed into the stopped truck, killing Ali Mustafa Saeed of Puyallup and seriously injuring a passenger. The driver who slammed into the truck stayed at the scene and told police that he had taken his eyes off the road at the time of the crash. One driver was killed and another suffered injuries in a crash near Kent on Tuesday. A van traveling east crossed the center line and crashed head-on into a westbound car. The van driver was pronounced dead at the scene, and the driver of the other car was transported to a local hospital. A witness told police that the van was driving erratically before it crossed the center line. A Spokane woman survived a rollover crash after falling asleep at the wheel on I-90. The 69-year-old woman dozed off while heading toward Deer Lodge and woke up when her vehicle went into the median. She overcorrected after jerking awake, causing her vehicle to cross the interstate and roll several times. A pedestrian was struck and killed in front of the Muckleshoot Casino after a driver was startled by a police car’s lights and sped off. The police car was on its way to a burglary in progress when the driver, who has an outstanding escape warrant for first-degree manslaughter, believed that the officer was in pursuit of him. He struck and killed a pedestrian, 44-year-old Rachella Partman, and was ejected from his vehicle in the crash. A commercial truck collision between a pickup truck and a dump truck on Thursday morning caused injuries to both drivers and delays for commuters passing through Renton. Troopers told reports that they were not yet sure what caused the crash. 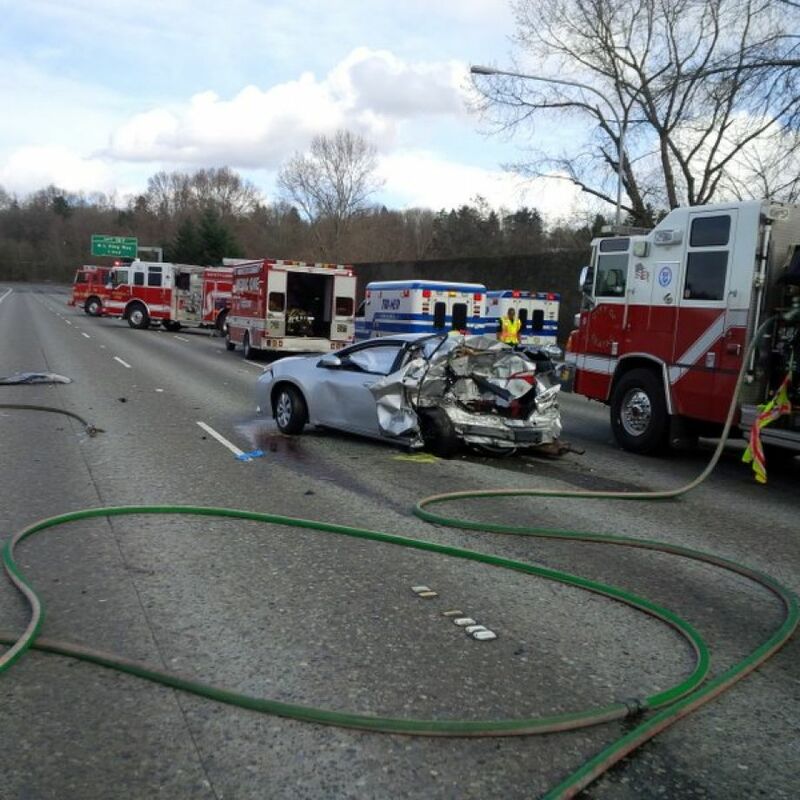 Four vehicles were involved in a collision on I-5 in Tukwila on Thursday. Two people in one of the vehicles were reported to have critical injuries, and a third is in serious condition according to Washington State Patrol officers. Trooper Chris Webb, tweeting from the scene of the crash, reported that the pile-up began when a tire came off one of the vehicles.